Ever since it set up an acquisitions office in Bordeaux in 1883, Maison Sichel has remained a family business first and foremost. Since that time, six generations of the Sichel family have succeeded one another at the company’s helm. As the owner of wine estates with a total of 350 hectares of vines at present, Maison Sichel can truly claim to be a winegrower, winemaker and éleveur. 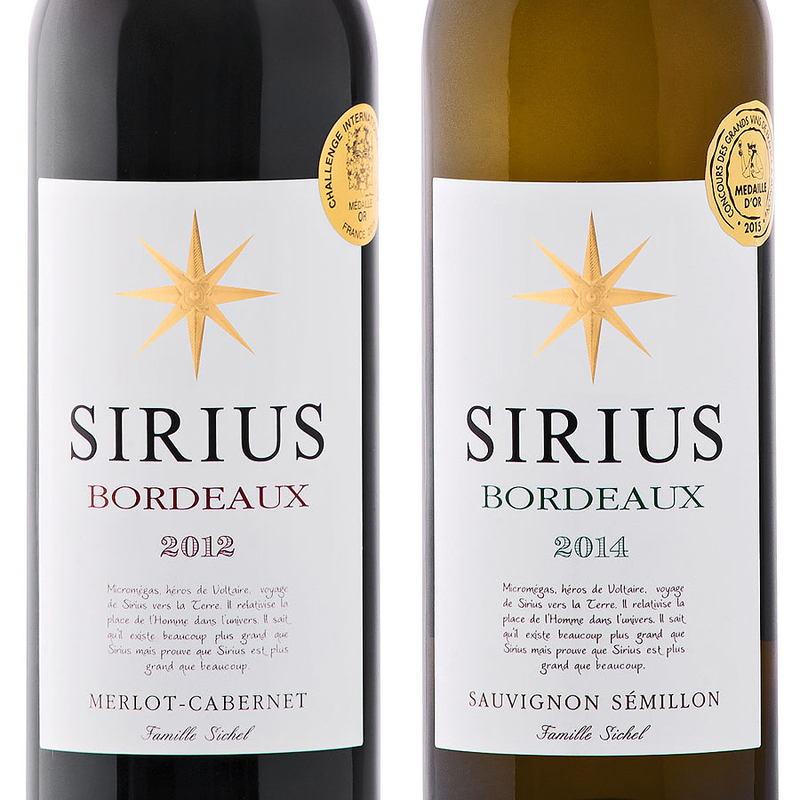 The first Bordeaux wine merchant to create its own winery back in 1967, Maison Sichel poured every last drop of skill and know-how into Sirius with the aim of making it the company’s flagship brand. 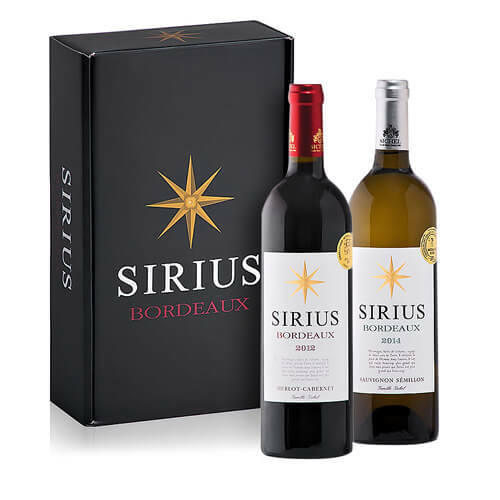 Sirius is THE wine which bears testimony to the experience and know-how of Maison Sichel. It has finesse and sophistication and all the typical characteristics of a Bordeaux. This modern and original wine can either be laid down or drunk straight away. Sirius Red is situated at the high end of the Bordeaux category and the emphasis is on balance, finesse and the mutually complementary aromas of the two Bordeaux grape varieties, Merlot and Cabernet Sauvignon. Sirius 2012 is a brooding, almost black colour with ruby tints. The bouquet is expressive and intense, redolent of ripe blackcurrant and redcurrant and mild spice, with an elegant touch of vanilla and toast. Elegant tannins wrapped in creamy, fruity extract on the attack develop succulent freshness on a palate which is both balanced and mouthfillingly aromatic – this is a wine with huge personality. Crisp-textured, lingering finish.